← Dr. John Piper: Is Your Job For The Glory of God? (1) Does justice to the biblical material which makes it clear that God works through His Word to change people’s lives–as it ‘uncaged the lion’ and allows God’s Word to speak. (2) Acknowledges that it is God alone, through the Spirit, who works in people’s lives, and that it is not our job to change people through clever or inspiring communication. (3) Minimizes the danger of manipulating people, because the text itself controls what we say and how we say it. The Bible leaves little room for us to return repeatedly to our current bugbears and hobbyhorses. (4) Minimizes the danger of abusing power, because a sermon driven by the text creates an instant safeguard against using the Bible to bludgeon (or caress) people into doing or thinking what we want them to do or think. (5) Removes the need to rely on our personality. While we all feel the weight, at times of having little ‘inspiration’, energy or creativity, if our focus is on allowing the immense richness of Scripture to speak in all its color and variety, the pressure is well and truly off. (6) Encourages humility to those teaching. While it can be a temptation to think that we are somehow special because we are standing at the front doing most of the talking (and, on a good day, receiving the encouragement), getting it straight that the key to preaching to the heart is simply uncovering the power and freshness of God’s words helps to keep us in our place. (7) Helps us to avoid simple pragmatism. If our focus is on working consistently to enable people to encounter God who speaks through the text, we will not feel under pressure to address every single issue and topic as it comes up in the life of the church. Conversely, working through the Bible week by week will force us to cover subjects that we wouldn’t choose to address in a million years. In other words, expository preaching is the simplest, longest-lasting antidote we have to pragmatism. (8) Drives us to preaching the gospel. 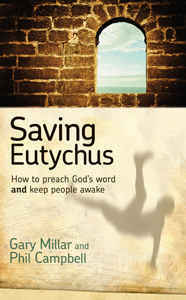 Expository preaching persistently drives us to the Lord Jesus Christ (wherever we are in the Bible) and so ‘forces’ us to preach the gospel–that is, to spell out what God has already done for us in the death and resurrection of His Son, and then to move from that grace to what God asks and enables us to do. When we preach the gospel we are not simply telling people how to be good or leaving them to wallow in the overwhelming sense that they are irredeemably bad. Reblogged this on A nobody who has Jesus.